Imagine coming home to this ideal Brookhaven residence! This home really has it all: a huge granite kitchen that walks out to a flat grassy backyard, rear stairs that lead to a 2nd master suite addition, bonus room, upstairs laundry & 3 full baths, large sunroom, screened porch, large dry finished basement, best schools & more...all on a very quiet special street with great neighbors. Amazing location, 1.5 miles to Blackburn, Murphey Candler Park/Lake, & Keswick Parks & 3 miles to Northside, St Joseph's & Children's Hospitals. 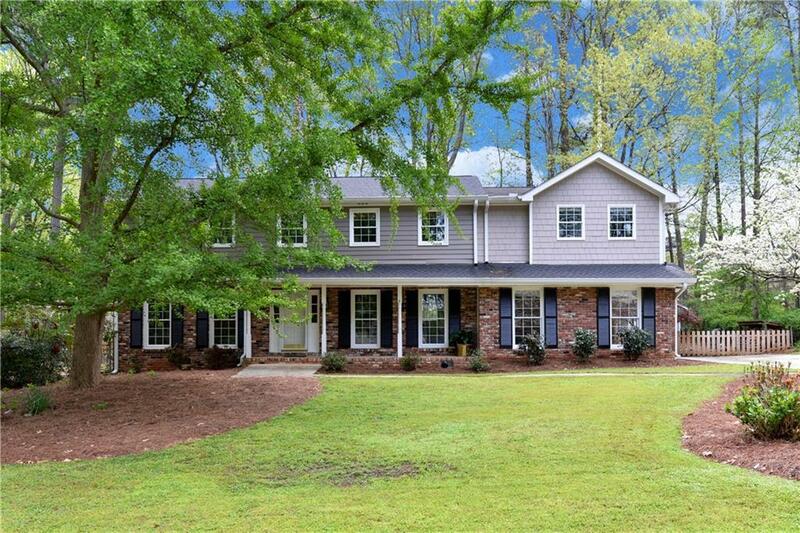 This expansive updated home is a must see! Directions: Ashford Dunwoody Road To Harts Mill At Marist School. Approximately 1 Mile, Turn Left On 2nd Granger Drive.